Lake County is located in Northwestern Indiana and is the farthest county north and west in the State. According to the 2010 census the population was 496,005, making it the second largest county in the state. The county has a total of 626 square miles, 496 of which are land and 129 water most of which is Lake Michigan. 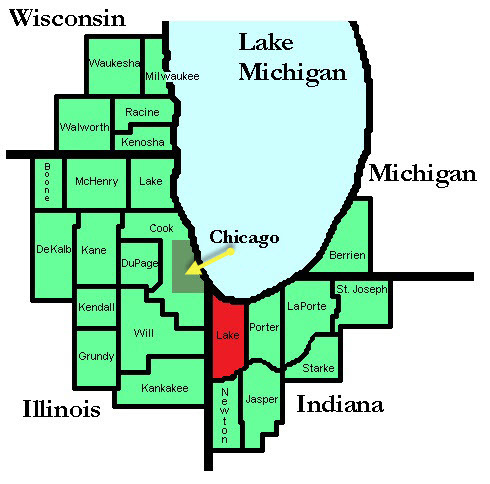 Lake County is part of Northwest Indiana and the Chicago metropolitan area and has a mix of urban, suburban and rural areas. Lake County is bordered by Lake Michigan to the north, Cook County (Chicago), Illinois to the west, Porter County Indiana to the east and the Kankakee River to the south. The County is a major transportation hub which has many interstates running through it and houses a major railroad hub into the Chicago area. The Lake County Sheriff’s Department is comprised of over 500 employees who make up a number of different Divisions. These Divisions include County Police, Corrections, Court Security and Animal Control. Corrections Division is made up of 170 merit correction officers who manage the jail which can hold 1,085 inmates. The jail maintains a medical ward and provides for other healthcare needs of the inmates. Correction officers also transport inmates to and from outside medical facilities and from the courts and DOC facilities when ordered by the courts. Corrections Division maintains the Sheriff’s Work Release Center which can house up to 100 male and female inmates who are allowed by the courts to continue working throughout their sentence. They are released to work and return to the center after completing work. The Center is staffed by 25 Custody Officers. Court Security provides security for the four courts houses in the county located in Gary, Hammond, East Chicago and Crown Point. There are 18 Court Security Officers that maintain security for court buildings. Lake County Police Department is made up of 168 merit officers who all are Indiana Law Enforcement Academy state certified officers. 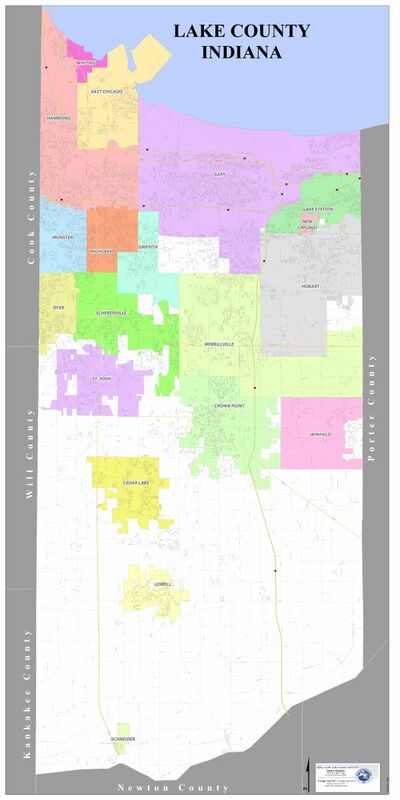 Lake County Police are the primary law enforcement agency serving the unincorporated areas of the county and also provide police services to the Town of Winfield which contracts with the Sheriff office for these services. Additionally, the Police Department provides patrol assistance to the city of Gary and other cities and towns within the county. The Lake County Police Department itself is made up of 5 Divisions: Administration, Uniform, Investigations, Staff Services and Civil. Within these Divisions are subdivisions. Lake County Police maintain many specialty units such as Traffic, K-9, Warrants, Crime Lab, Gangs, Narcotics and Tactical (S.W.A.T) among others. The Police Department also operates the only Aviation Unit in Northwest Indiana and provides a fulltime Marine Unit on Lake Michigan. Please check our site for more detailed information on a Division. The Lake County Sheriff’s Office is available to provide police coverage for special events by calling 219-755-3400. For all Emergencies dial 911. For non-emergency services call 219-660-0001. To report gang, drug, or any other criminal activity please call our REPORT A CRIME HOTLINE number at 1-800-750-2746. All calls are strictly anonymous.